Have you ever wondered about standard real estate commission? If you ask a real estate agent, the answer had better be all commissions are negotiable. That's the stock answer, even if it's somewhat misleading. To respond by directly answering the question could open an agent to prosecution by the federal government. It's not that there is no such thing as a standard real estate commission, it's that agents are advised not to discuss it. You might go to real estate websites and portals and read questions and answers about standard real estate commissions. Some agents will blurt out a percentage and others will agree or disagree with that percentage, when in fact, that online discussion could be considered price fixing. Anti-trust laws prohibit collaboration among competitors to set certain prices. For example, the Sherman Act and the Clayton Act are two types of anti-trust laws. The government entities that investigate such claims are the Federal Trade Commission and the Antitrust Division of the U. S. Department of Justice. Sometimes sellers, not knowing any better, will call several real estate agents and without so much as introducing themselves will blurt out: what is your commission? As though the only qualifying factor that is important is the amount of commission like they are buying a carton of milk at the grocery store and want to comparison shop when all the milk selections are priced within pennies of each other. A better way to approach the subject, if a seller is shopping solely on price, is to ask if the agent is full-service or a discount broker. If you expect a discount, be upfront and limit the search to only those agents who offer discounts. There are situations in which a seller might prefer to hire a discount broker and not engage the services of a full-service agent, who may very well charge a slightly higher fee. If a seller does not need to hire an F. Lee Bailey-type, you can certainly go with a less expensive and most likely less experienced agent. Just don't be penny-wise and pound foolish. The discrepancy between similar competitors comes down to about a one percent difference that people argue about. One percent stands between the seller and the agent she wants to hire. These sellers typically are unaware of what experienced agents can do for them. They hope they are frugal, but they could be shooting themselves in the foot. Of interesting note, the higher the caliber of home, the less inclined sellers are to ask a highly experienced real estate agent to discount her fee. You'd think it would be the other way around, but it doesn't seem to be. Most likely because with luxury home sales there are larger sums of money to lose (or leave on the table), that the sellers might pay a little bit more to hire top-notch talent to negotiate for them. From appraisals to home inspections, much can go wrong after signing a purchase contract. Expertise is often worth the additional expense. It can be the difference between selling your home for $1,300,000 or a cash sale of $1,500,000. These sellers traded a $13,000 difference in commission in exchange for $200,000 in price. 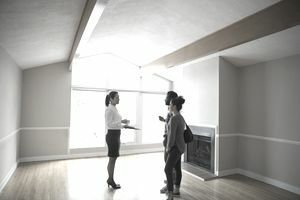 It is not to say that a standard real estate commission should not be discussed in the initial conversation, but it's not typically the sole factor for qualifying an agent. Agents who charge the top commissions could very well set the standard for that type of performance, just like agents who routinely charge much less. In other words, consumers tend to get what they pay for when it comes to a real estate agent. Vet your agent wisely, especially for complicated situations. For example, you might prefer an agent who thinks like a lawyer over an agent who behaves like a used car salesman. There are all kinds of people who hold a real estate license. Not all real estate agents are the same. You've probably heard that the top 10% tend to sell 90% of the homes. A seller can stand to forfeit more than the variance between a couple of agents if she hires the wrong agent. The wrong agent would be a person without enough experience or wherewithal to help a seller navigate the delicate situations that can go wrong such as a low appraisal or a Request for Repair. In other words, if a seller believes she is "saving" $5,000 because she hired a cheaper agent than the agent she preferred, that seller could end up losing say, $10,000, over another issue that the cheaper agent cannot resolve. The commission on a closing statement is but one of many closing costs and fees a seller will pay. It the generally the highest fee, granted, but the other fees can hurt. To find out about the fees agents charge in your area, you can call around and talk with agents, ask about their standard real estate commissions, just don't make it the first question you ask. Also, realize that fees differ based on locale. What might be considered a standard real estate commission in Sacramento could be more than the standard real estate commission is a more self-contained community such as San Diego.